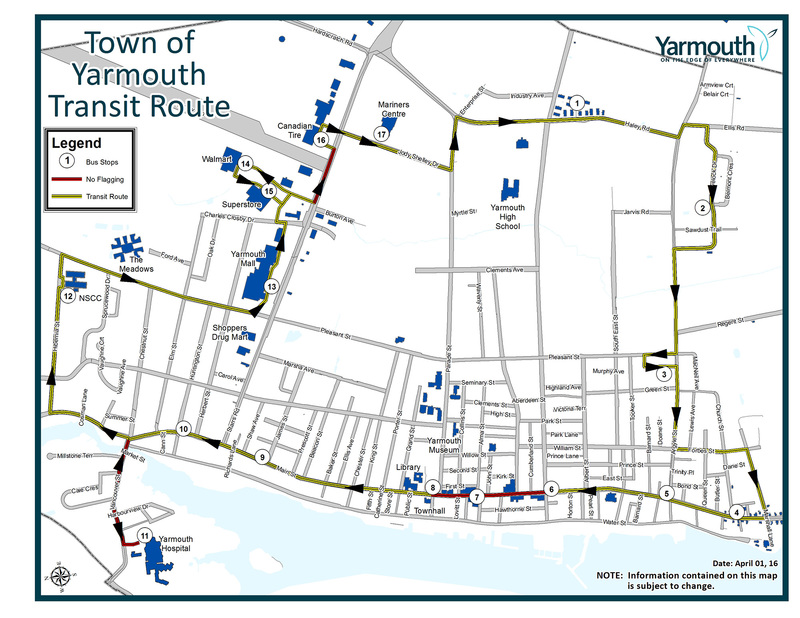 The Town of Yarmouth is excited to offer a transit service that takes you through the heart of our downtown, the hospital, popular shopping locations on Starr's Road and South End. Get your pass and catch the bus! The Town of Yarmouth Transit Service offers two types of passes – limited time passes and smart reloadable card passes. Get your pass today! You can also pay $2 fares in exact change. For the comfort and safety of Town of Yarmouth Transit passengers, we ask that all passengers follow our rules of the road. From smoking, food and scents to strollers, luggage and scooters, learn about your responsibilities as a rider here. 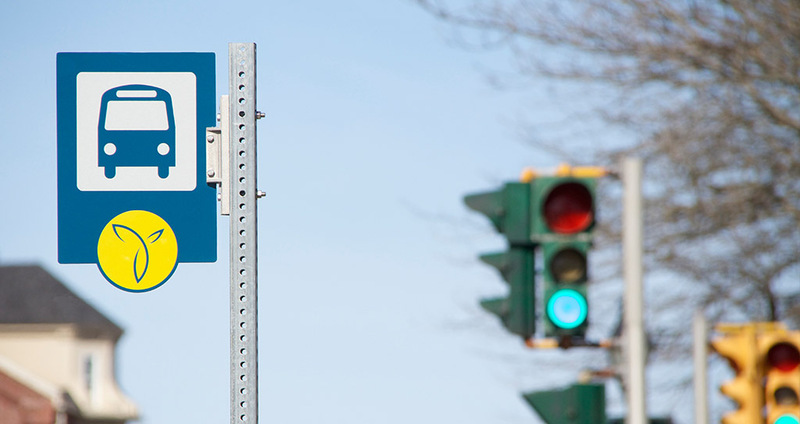 Town of Yarmouth Transit runs using a flag stop system – where you can choose to board and depart the bus at designated stops, or by creating your own flag stop. Anywhere with the exception of Starr's Road and a portion of Main Street and Vancouver Street (see map below) on the designated route, you can “wave” down the bus. Learn more about our route and schedule here.